Imagine fresh herbs and vegetables grown in your home, year-round. 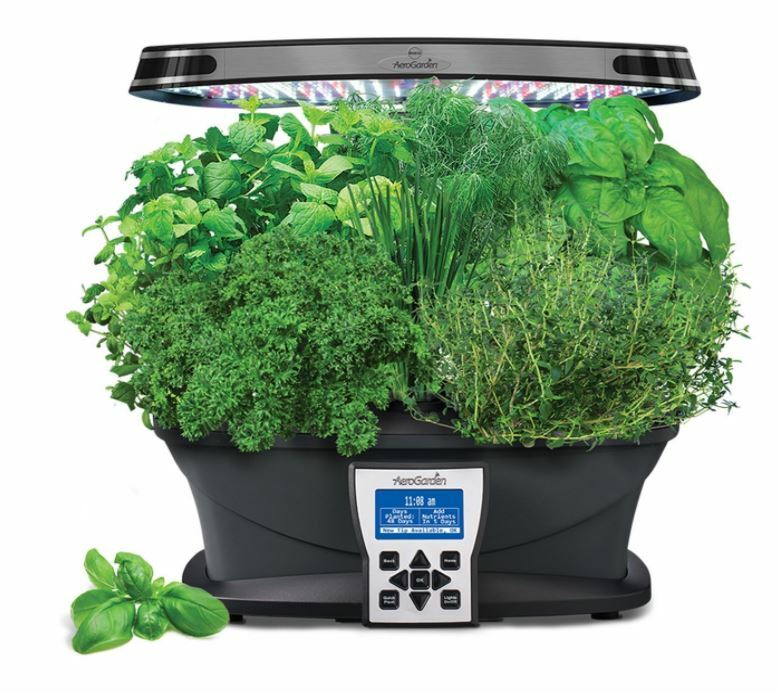 With the Miracle-Gro AeroGarden Ultra you can grow fresh herbs, vegetables, salad greens, flowers and more! This smart countertop garden uses water and patented nutrients to naturally grow plants… no herbicides, no pesticides, non-GMO. It’s natural goodness right at your fingertips. The Ultra’s easy-to-use control panel has an interactive LCD screen display that utilizes simple prompts to guide you from setup to harvest, and provides helpful gardening tips. It also creates optimal conditions for your plants by automatically turning the lights on and off and reminding you when to add water and nutrients. The AeroGarden Ultra sets up in minutes without tools. Just insert the Seed Pods in your garden, add water and nutrients, and then watch it grow! Everything you need to start growing is included. Amazon Deal of the day – 3/12/2014 only! The Miracle-Gro AeroGarden ULTRA is a high-tech, high-output indoor garden that delivers big yields and fast growth, with advanced hydroponics to grow fresh herbs, salad greens, tomatoes, flowers, and more up to 10 times faster than plants grown in soil. Bonus seed starting system is ideal for starting any garden.